Brgy. Chairman Romulo Bartolome: Landowners have been paid by as much as 30 percent. 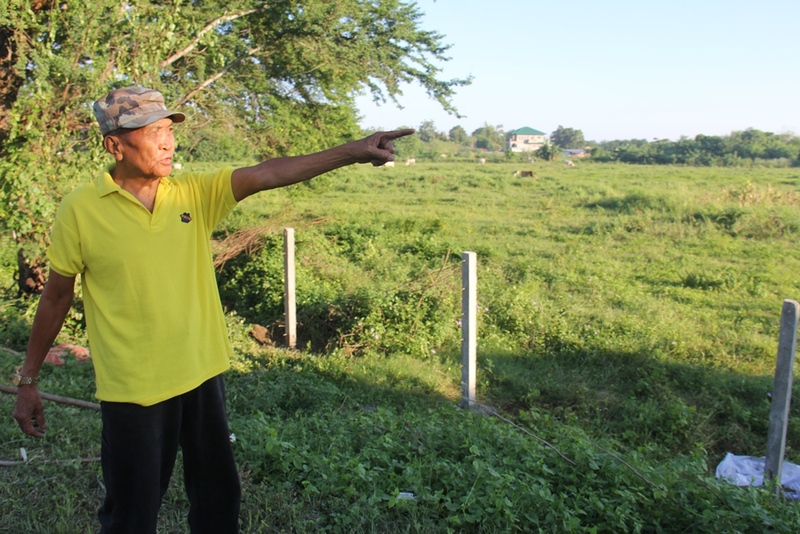 Tata Pedro shows the property where SM City Laoag will rise. From a city with small, homegrown groceries and department stores that close at 6:00 p.m., Laoag City in the past couple of years has built a reputation as a retail mecca, with big stores sprouting faster than you can say cheese.. or Sy. In December 2009, Robinsons Ilocos Norte (San Nicolas technically but is geographically almost Laoag) was the first national retail chain to open in the Ilocos Region. It was followed by three others: SM Savemore in December 2011, SM Hypermart in October 2012, and Puregold in November 2012. Of the four, however, only Robinsons is a full-service mall with a department store, supermarket, cinemas, a food court, an array of shops, and an activity area. To many, the Ilocos mall scene will never be complete without a full, honest-to-goodness SM. Even before Robinsons IN was built, there have been long-standing rumors that an SM Mall will rise in Laoag City. It has not, as you know, been realized. The search for a parcel of land big enough for the mall’s requirements took a long time. SM apparently wanted to have it in Laoag, not anywhere else, and, naturally, they wanted the place to be accessible. Conflicting pieces of information had circulated about SM having finally chosen a lot here and there, but nothing was credible enough to be believed, or at least for long. In 2012, however, news spread that a land area along Brgy 51-B Nangalisan West (south of the river, road leading to Northwestern University) had been identified by SM Prime Holdings and that negotiations with various families that own the property were already underway. It was a difficult process, our informant (a Laoag City elective official) said, because of the usual process of having heirs of families, some of whom are based abroad, sign documents. SM also haggled with the families in terms of price. All of these went slowly but well, our informant said, and groundbreaking rites were expected as early as February last year, in time for the Laoag City Fiesta month. But then there was nothing. The project hit a snag, our informant said, when officials of a national agency allegedly tried to extort Php 4-Million pesos from SM. Of course, this did not make mall executives happy, and they decided not to pay up. The project was thus derailed. But all seems well now, says the informant. SM executives apparently sought the help of a top provincial official so they won’t have to lose millions to the alleged extortionists. Indeed, the green light seems to be on and bright. Brgy. 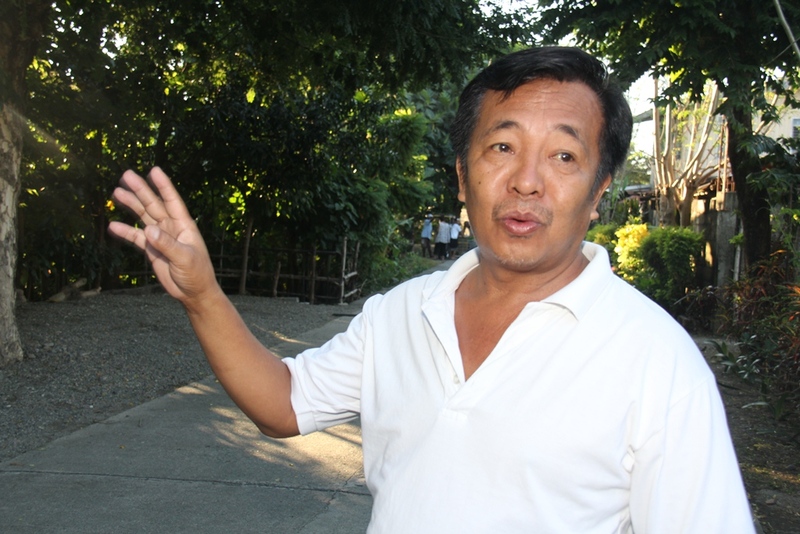 Chairman Romulo Bartolome of 51-B Nangalisan in an interview with this writer said the land developers sought two days ago his permission for the setting up of fences around the property where SM will rise. Furthermore, he disclosed that landowners have already received payments as much as 30 percent. 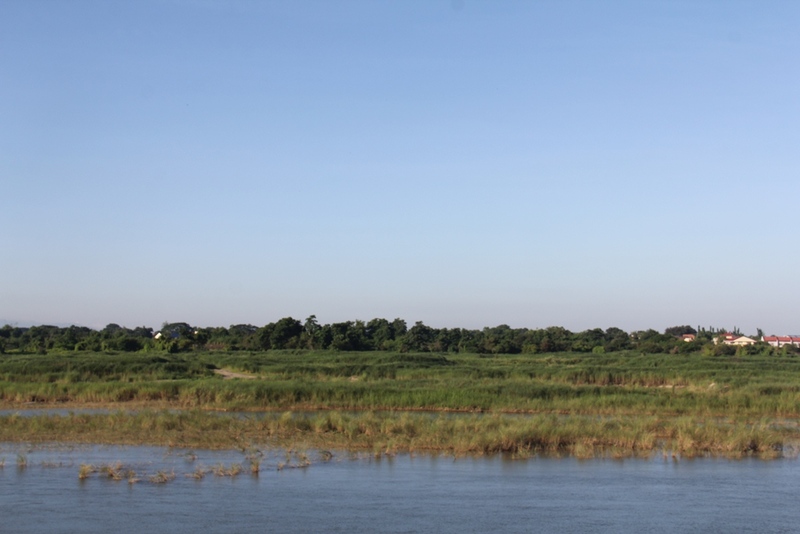 According to Bartolome, the property measures around 9 hectares, 8 hectares of which is within his barangay while the rest belongs to nearby Nalbo. As Brgy. 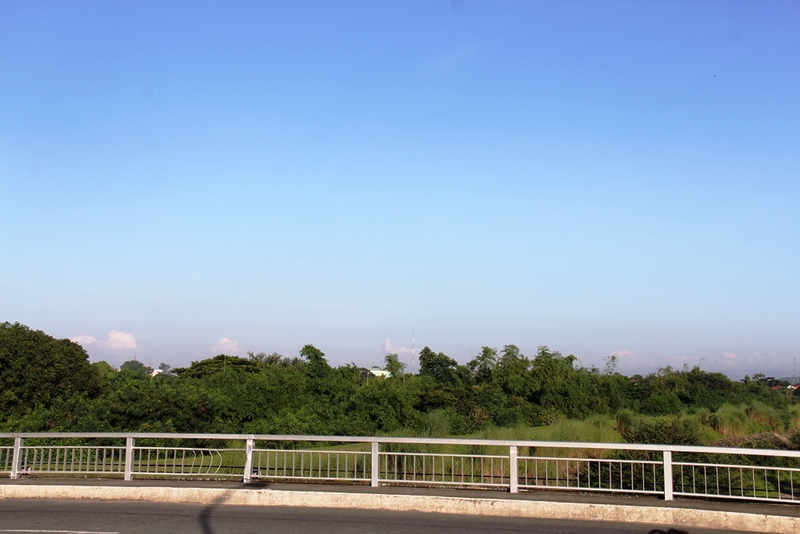 51-B’s land area is only 28 hectares, over one fourth of the entire barangay will be occupied by SM. The people from the community seem upbeat about this development. Pedro de Lara, 70, a retired firefighter who is now a part-time tricycle driver says he expects a wave of progress in their barangay once SM City Laoag opens. This is really a great news ! But it would be a lot better if SM will pay the landowners already. We heard that some were given 30% but others (like our family ) , haven’t received any, aside from the 1% earnest money given almost 2 years ago. Did your family gave the land title to SM without getting paid 100%? Something smells fishy here. What good does this bring to our city? This can only mean that the correct bribe have gone to the right people. Great! A mall like this will simply become a powerful CATALYST FOR GROWTH. Other businesses will sprout around it. Even the transport sector will benefit. More jobs too. More prestige for the city and will bring the city at par with the other progressive cities in the country. GOOD JOB, GOV. MARCOS! If the landowners have not been paid 100%, SM does not have control of the properties. Before they close escrow, all parties involved have to be paid before transfer of land ownership to SM. How is it possible that the City of Laoag has given them permission to even break ground on a property that they don’t control? Somebody’s wheels have been greased? That being said, SM will provide growth to the community. Growth is also a double edge sword if not properly executed. As an example, the roads going in and out of the area is not capable of handling the additional influx of traffic (foot and vehicular traffic). Something has to be done to widen the roads around the area (not just in front of the area but the surrounding communities leading to the mall). Does the infrastructure capable of handling the mall requirements? I hope that the City of Laoag has required them to do an analysis (traffic, water and sewer requirements, ingress/egress, police presence, environmental, etc.) to assure that the mall will bring in positive benefits to the City. If it is done properly, it will be a success. If not, it will become a nightmare. Sino kaya ang magiging architect nito? Matutuloy pa ba ang sm sa laoag? there are rumors. 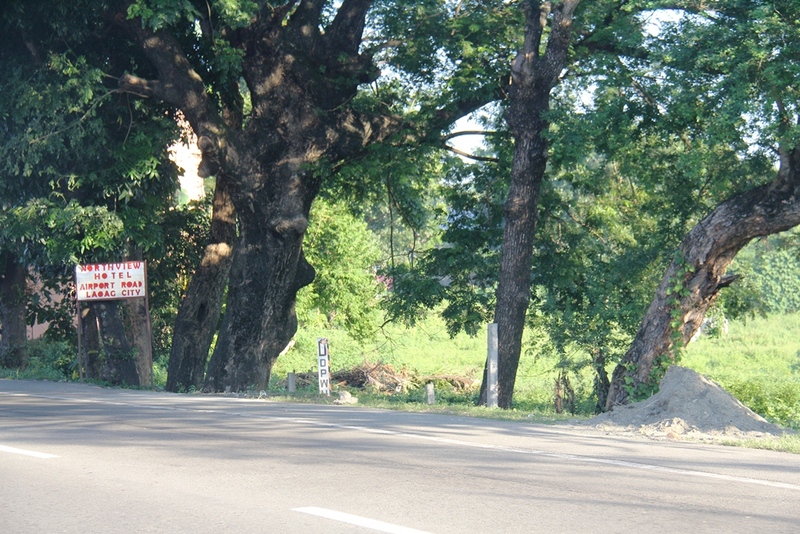 SM will be built in San Nicolas batac Road. what is the truth. Any posters associated with the Saturnino family? when will they start the construction? OJT trainees are coming!! PARA KANIAK, TI LAENG INNAK SALUDSUDEN KET NO MATULOY PAY WENNO SAANEN. DIOS TI AGNGINA KADAKAYO AMIN NGA MASEKNAN.